The Hollon 20 x 15 B-Rated Cash Safe is a tough and secure storage box with an interior space of 2.02 cubic feet and a B-rated burglary construction. 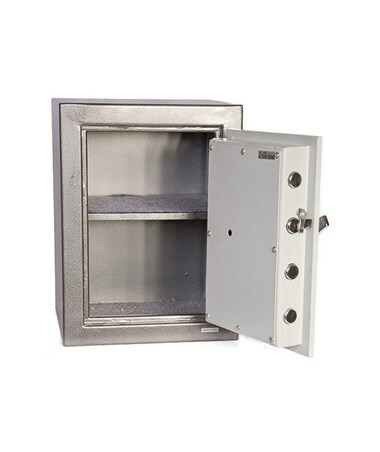 It includes an adjustable shelf that helps organize the safe’s contents and a UL listed lock that protects it. Its security features include four 1.25-inch solid steel active locking bolts, a spring-loaded re-locker that permanently engages the bolts, and a full-length locking bar deters attacks on the hinges. 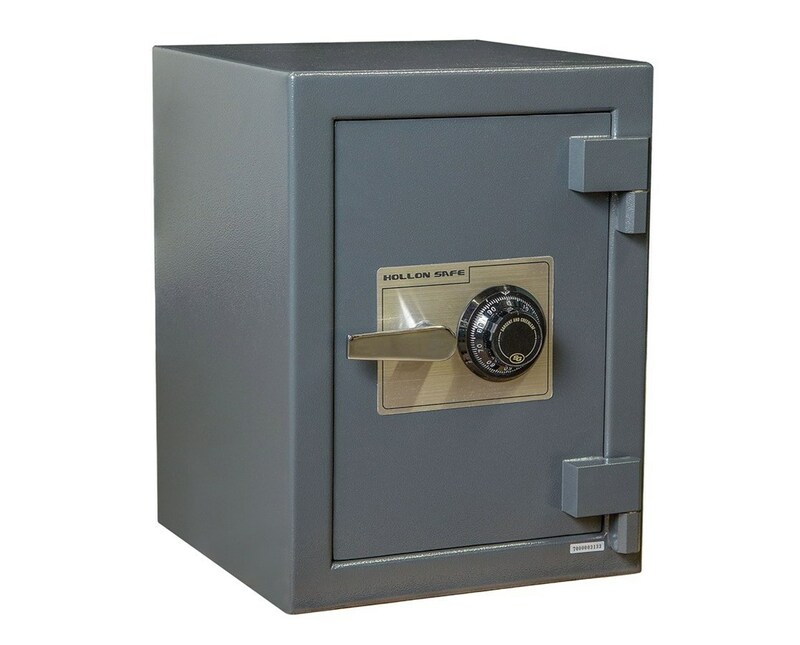 This 20-inch high by 15-inch wide cash box has a 3-inch thick door with a drill-resistant hard plate and a solid steel plate that is ½-inch thick. With the help of the pre-drilled anchor bolts, the safe can be bolted down for added protection. This B-rated safe is made of steel with a powder coat finish. 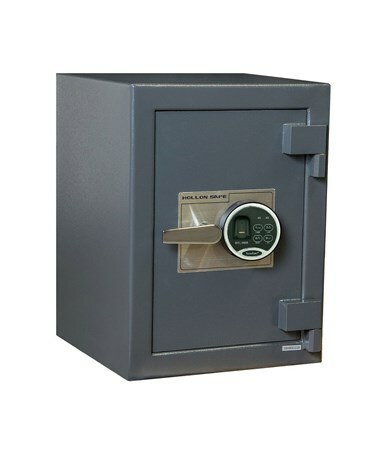 The Hollon 20 x 15 B-Rated Cash Safe is available in different locks. Please select your preference from the drop-down menu above.